Purchasing a purebred Norwegian Forest Cat is a big decision. Finding a reputable, ethical breeder isn’t enough. You’ll also need to perform all the due diligence necessary to ensure your cat’s health and pedigree. It is a time-consuming process, but well worth it! As the popularity of Norwegian Forest Cats grows, more and more fly-by-night breeders are looking to cash in on the trend by operating horrible kitten mills. 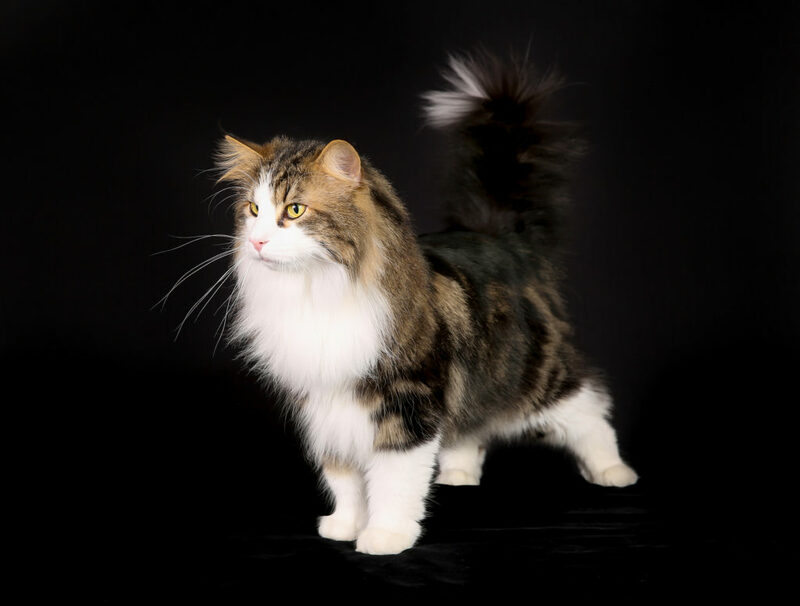 Use the tips and tricks below to find a legitimate Norwegian Forest Cat breeder that you can trust, and you shouldn’t have anything to worry about. Let’s dig right in! Reputable breeders will NEVER sell their cats through retail pet stores or the like. The most important thing you should know about reputable cat breeders (of all breeds) is that they will flat-out REFUSE to ever sell their cats and kittens through traditional pet stores or flea markets. That simply isn’t a shady underworld that any reputable breeder would ever willingly enter. Sure, you may be able to find adorable kittens available through these shady mills. You may even be able to save a kitten from terrible conditions by buying them out of the situation. It’s extremely important never to support this type of operation, no matter how tempting it may be. You’ll never know if they are purebred, healthy, or have the kind of temperament that you are expecting. Many times kittens from these types of shady “breeders” are inbred. Sad as it is, you have to just say no. Reputable breeders will ALWAYS be able to provide you with full documentation. And that’s just the tip of the iceberg. You’ll never have to press reputable breeders of Norwegian Forest Cats for these documents, either. Most of the time, they will freely provide documentation before you even ask.